The incident took place at West 29th Lane and 72nd Street. A would-be robber was shot after he tried to rob a Hialeah fruit stand. "All of a sudden you just hear pop noises and she was like, oh they shot someone and I said, 'No, you're kidding cause I never heard shot noises,'" Marianny Briseno said. 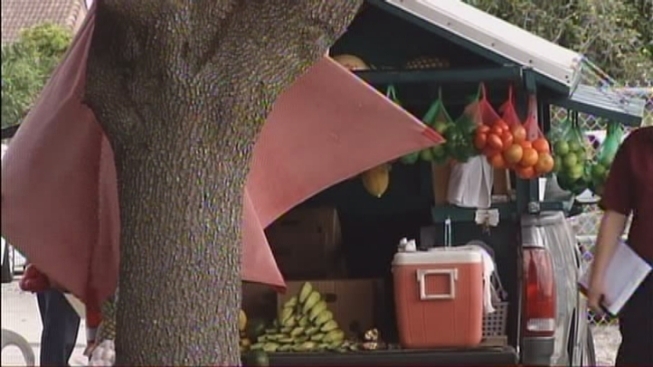 Hialeah police said a man approached a fruit vendor, took out a gun and asked for money. That's when a third person at the scene took out his own gun and shot the suspect. Police sifting through the evidence on scene, including this weapon that landed near a pineapple say the thief ended up critically hurt. The vendor and the shooter were taken to police headquarters to give their statements while detectives interviewed witnesses on scene. 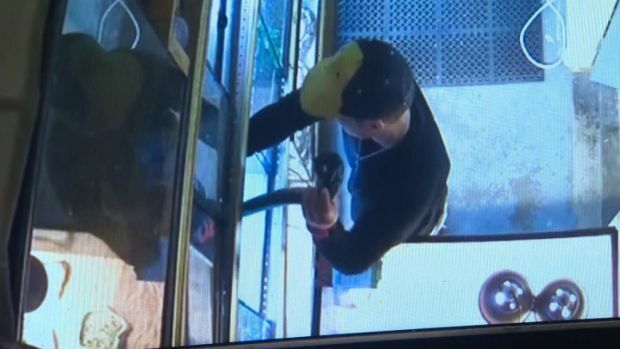 The family of the person who allegedly shot the thief says he's a retired 68-year-old man who brings tamales to sell at the stand as a way to stay busy. The alleged shooter's daughter told NBC 6, he was attacked and he had to defend himself or he would've been killed. She said her father has a permit to carry a gun.